The following file depicts a Keter class entity and is level 4/2704 classified. Special Containment Procedures: Confirmed or hypothesized villages in which SCP-2704 has taken place are to be attended to immediately by emergency response teams. Social media platforms and other online forums are to be searched by multiple web crawlers for mentions which might confirm an instance of SCP-2704 taking place. Any surviving subjects of SCP-2704 are to be amnesticised upon return, and other documentation regarding an SCP-2704 event are to be removed by whatever means necessary. Instances of SCP-2704-1 are not to be killed on contact. Should any information about SCP-2704 spread to scales futile to deletion, campaigns and cover stories are to be written and spread internationally. 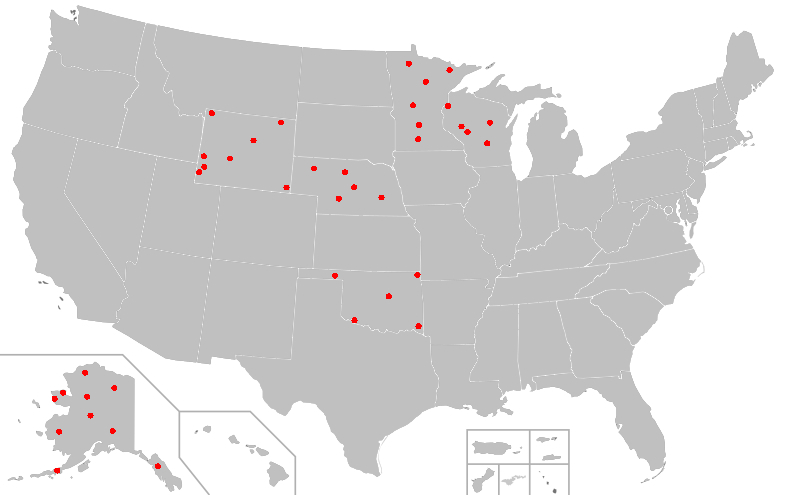 A map where all red dots represent one reported case of SCP-2704 taking place from the years 1959-2019. SCP-2704 can occur within the hours of 00:00 through 03:00, and will only occur if every resident within the town is in an unconscious state. In place of the victims of SCP-2704's last position on Earth, a supella longipalpa of the same height and weight as its human counterpart will spawn in place of the victim, now referred to as instances of SCP-2704-1. For the next ~20 hours, instances of SCP-2704-1 will begin to deconstruct furniture, houses, or any other infrastructure and produce provisional weapons. Depending on the time of the event, the types or design of the weapons may change. 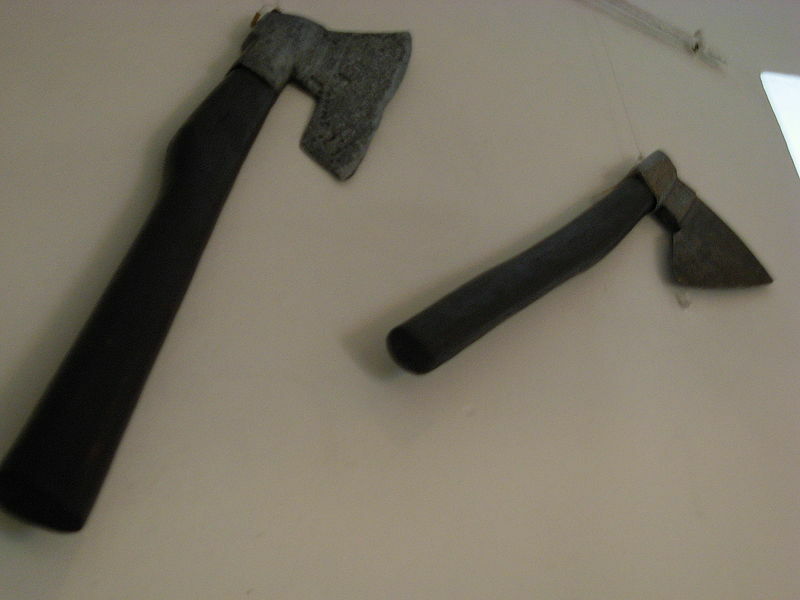 Two weapons produced by instances of SCP-2704-1. After ~20 hours have passed, Instances of SCP-2704-1 will equally divide into groups of two. These groups will hereafter be referred to as a 'pair'. After this event has occurred, one pair will fight with their weapons to the death. These individual battles will happen in succession with each other until there has been a winner of each pair, after which the winning instances of SCP-2704-1 will again form into pairs and individually fight to the death once again. This will continue until there is just one instance of SCP-2704-1 alive. When there is only one instance of SCP-2704-1 alive, its human counterpart will then manifest and replace it. All fauna and flora will also manifest back to its last position. Addendum 04-1: On April 1st, 2017, a SCP-2704 event occured in a small military camp located in northern Alaska. Located within the camp were several tons of explosives. Instances of SCP-2704-1 began to acquire and construct rudimentary weapons from the camp, and eventually damage the explosives, causing several explosions resulting in 18 fatalities and 28 injuries in the nearby town of Haresberg. A cover-up story was produced stating that there had been a malfunction during production, causing a domino effect of other explosions. All SCP-2704-1 instances were killed in the blast. 1. This includes any possessions which are directly touching a victim of SCP-2704.